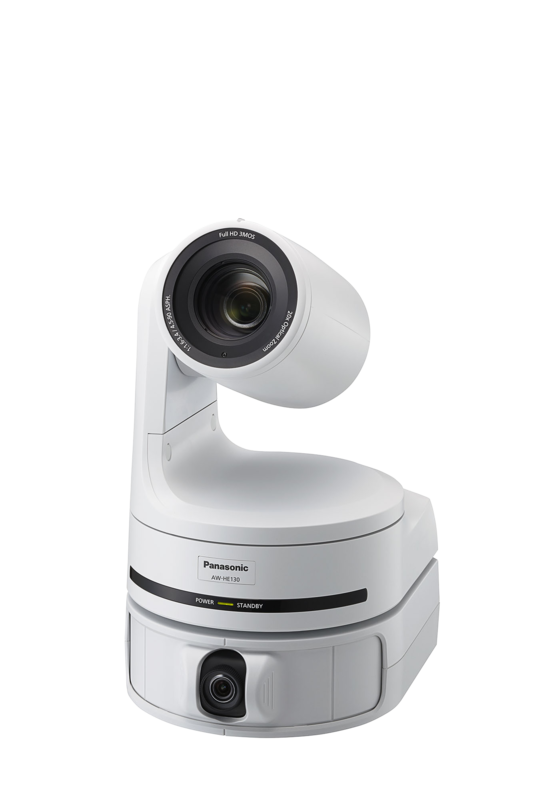 Why choose a Panasonic Broadcast & ProAV solution? Learn more about our advanced HD production system. AVCHD is a high-definition compression system for encoding/decoding. Click to browse our range of 4K products. An updated version of the free “PTZ CNTRL” APP is now available. 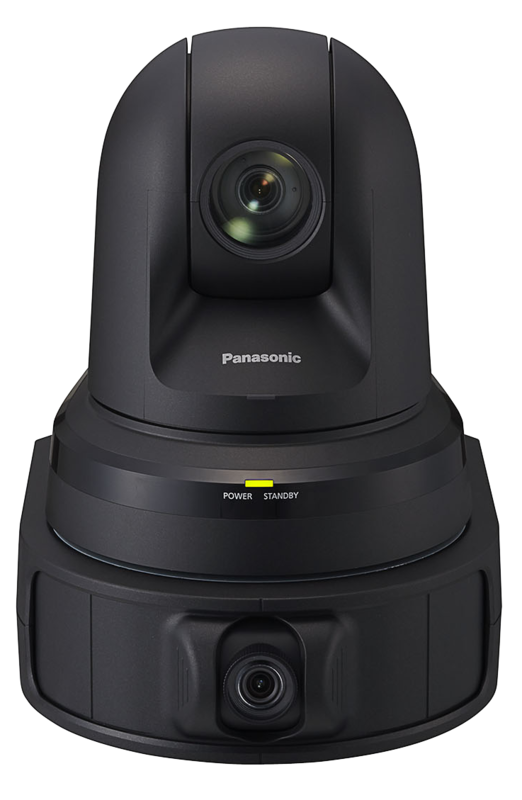 The update adds remote start and stop recording onto microSD cards at the press of a button for the AW-UE70 and AW-HE40 cameras when combined with the AW-HEA10 wide angle attachment camera. (June 2017). 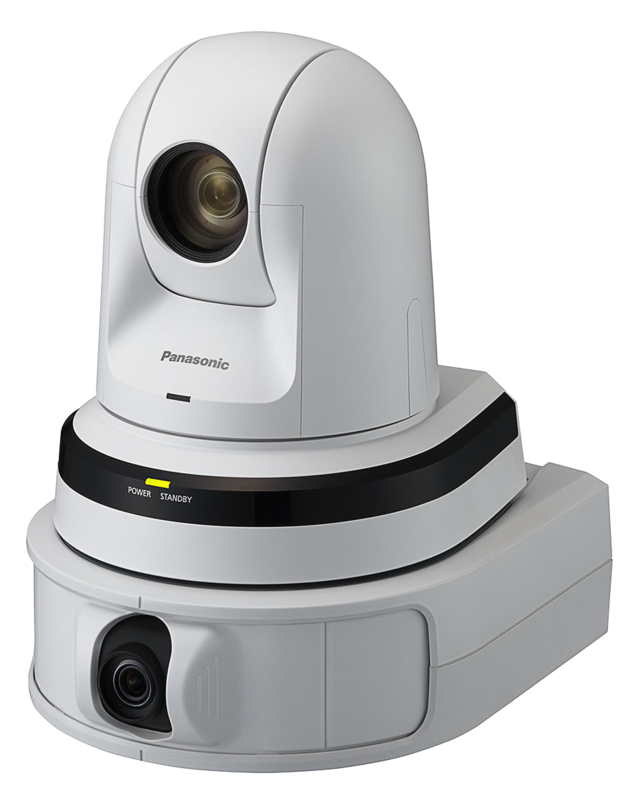 Introducing the AW-HEA10 PTZ control assist camera. 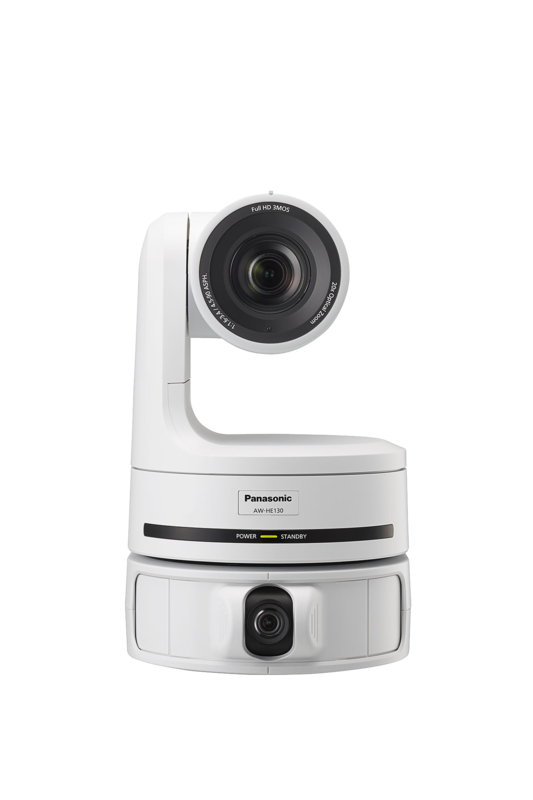 Panasonic's new control assist camera offers a panoramic view of any scene thanks to its super wide angle and can be used at the same time as a camera by using its HDMI output as an image analysing tool that will allow to control the main camera that is installed on top of it. The AW-HEA10 is able to control such models as the AW-UE70, AW-HE40, AW-HE60 and AW-HE130 simply through an iPad app. The iPad app "PTZ CNTRL" is free to install and can be found in the app store. 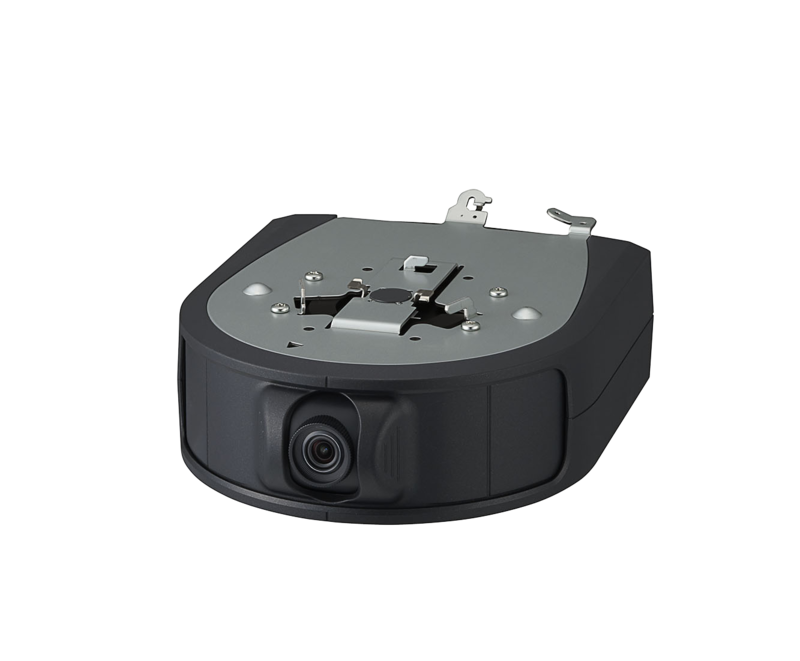 This app allows full wireless control of the camera through an easy to use interface, making the product a perfect tool for non-professional camera applications. For example in education, corporate and government environments. When using traditional camera controllers, the operator may sometimes miss action that happens outside the primary camera frame. With the tap-assist camera system, these changes in the action can be previewed in the wide-angle tablet view, and instantly responded to by simply tapping the tablet. Even when shooting rapidly changing circumstances, nothing need be missed. Zooming can be controlled via the familiar "pinching" motion, or via an on-screen control. Up to nine pre-set main-camera shots can also be selected via dedicated on-screen buttons. 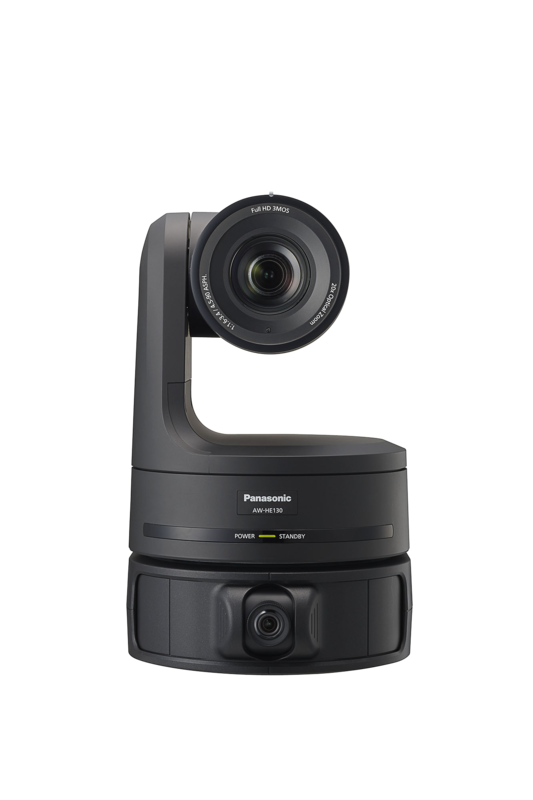 Because the primary UE70/HE40/HE60/HE130 camera can be controlled using the HEA10's wide-angle view as a reference, the PTZ can be operated even when selecting a shot that can't be viewed in the primary camera's frame. 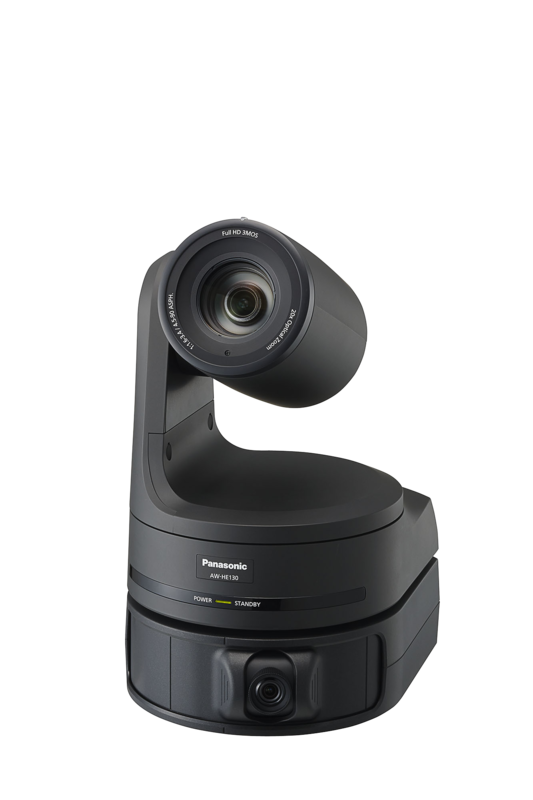 This ability makes the system especially effective for remote seminars, sports, medical education, news, panel discussions and similar applications. 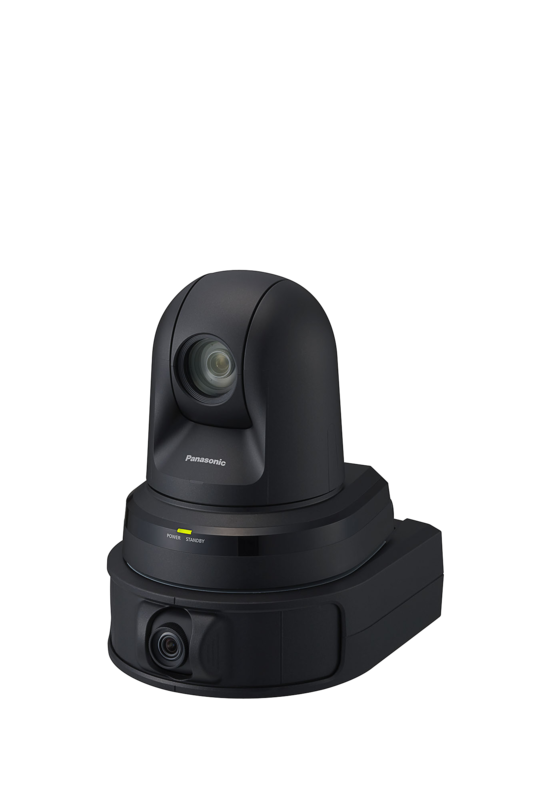 Please note that the complete camera solution includes either a UE70, HE130 or HE40 camera, mounted on top of an HEA10 tap assist module, with the option to use a tablet through a wireless network connection. Please click here for a list of operation manuals to download. Looking to download the operation manual? 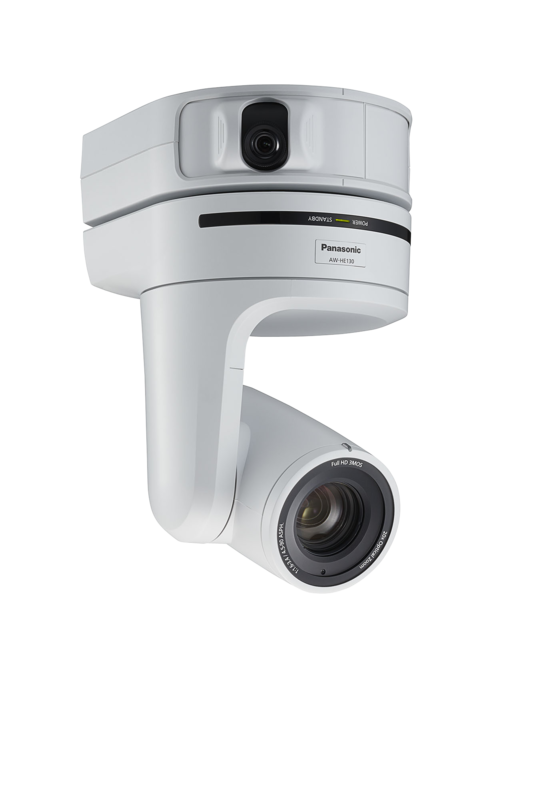 Copyright © 2019 Panasonic UK & Ireland. All Rights Reserved.